Come Discover our untouched part of the Texas Hill Country with rugged canyons and cool, beautiful streams where Cypress, Live Oak and Pecan Trees tower overhead. Plan a picnic, fish, swim or float lazily in the refreshing clear water of the Sabinal River. 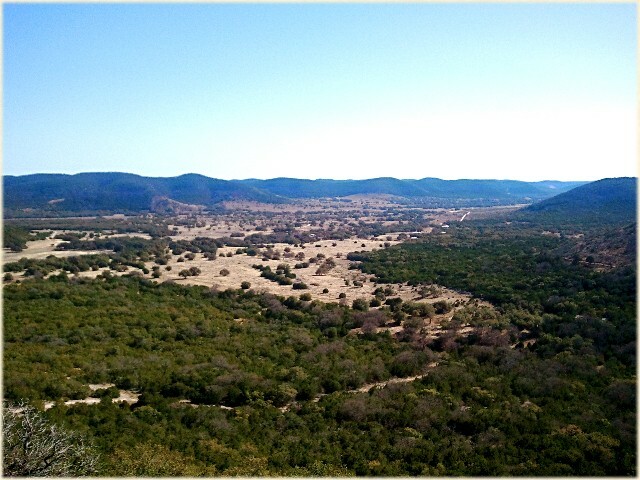 Breathe fresh air while you hike Lost Maples State Natural Area or bike our scenic country roads. Known for wonderful birding year around; our area is a world - class birding & wildlife viewing destination! One of the best places to see many Texas specialty birds; including the Golden - cheeked Warbler, Black - capped Vireo, Vermilion flycatcher and all 3 King - fisher varieties! Nature Guides are available to take you on private ranches and properties. There are many wonderful country Cabins, Vacation Homes and Bed & Breakfasts to choose from. Enjoy our local Eateries; the 'Drive Inn', 'Lost Maples Café', and 'Laurel Tree' with its French cuisine. Visit 'Main Street Utopia' the French antique shop for antiques and Utopia Souvenirs, Heaven's Landing for flowers, gifts & ice - cream, or experience the wild side of Utopia at 'Hill Country Nature Center' with animal, bird, bat, butterfly and insect displays of the many Critters that call Utopia home. Play a round of Golf on the scenic (and now famous) 'Utopia Golf Course'. Utopia and the Golf Course were the inspiration for the book 'Golf's Sacred Journey' and a movie 'Seven Days in Utopia' starring Robert Duvall, Lucas Black and several other stars was filmed in Utopia August 2010, and will be in theaters Spring/Summer 2011. Utopia Community Park on the Sabinal River has a dam which creates a nice swimming hole with a rope swing and giant Cypress Trees. 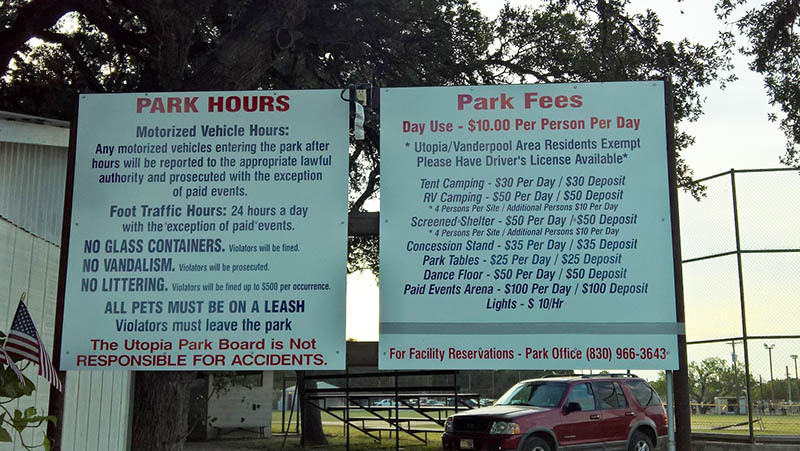 For a fee you can bird, fish, swim, picnic or camp; there are public rest rooms and swings for the kids. Join us at the Park Memorial Weekend for the 'Utopia Ranch Rodeo & Dance' and the 4th weekend of June for the 'Utopia Rodeo, BBQ & Dance'. The Park & River are the perfect backdrop for 'July 4th Utopia Fireworks' which lasts a full hour and beats any big city fireworks displays! Don't Miss the many other Annual Events going on in and around Utopia; Utopiafest is a two day music festival in Oct. on a scenic Hill Country ranch, Utopia Fall Art Fair happens the first Sat. in Nov. and has over 50 booths with artist work. Beautiful Fall Foliage at 'Lost Maples State Natural Area' usually begins the end of Oct. or first part of Nov. and lasts till Dec. But Utopia's Hills are alive with colors of red, orange and yellow from the Maple Trees, Red Oaks, Texas Cherry and Flame Sumac thru Dec.
Rich with Texas History, Indian Raids and Spanish Explorer Stories - Utopia is a carefree little Country Town, a wonderful place to escape to for the weekend, week or for the rest of your life! Utopia's a healing place that people come to relax and rejuvenate, to have their lives inspired and changed! Utopia is in the Texas Hill Country River Region, located in the Sabinal Canyon on the Sabinal River about 80 miles WNW of San Antonio Texas. Utopia Texas is 'Paradise on Earth' ......... come Experience and Enjoy our UTOPIA!